Are you looking for fashionable, one of a kind jewelry? You need to check out May Vora Jewelry. May Vora Jewelry is a Racine, Wisconsin based Fashion Jewelry Company dedicated to designing quality, handcrafted fashion jewelry. Just because they’re located in Wisconsin, doesn’t mean they can’t provide you with your styling needs. 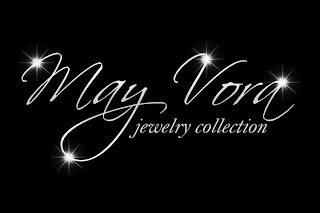 May Vora Jewlery will gladly ship your merchandise to you. The President of May Vora Jewelry is LaReana Nichole, she attended Hannibal-LaGrange College and has an extreme passion for fashion. At May Vora Jewelry, their motto is "There is Only One," LaReana Nichole designs and creates one of a kind custom handcrafted jewelry that you will never find anyone else wearing! The company is named in honor of the designer's Aunt and Uncle, Mary and Ivora Turner, who passed away April of 2009. Mrs. & Mr. Turner were extremely influential to LaReana Nichole's love for fashion design. You can take a look at some of May Vora Jewelry’s collections via their website. May Vora Jewelry can also be found on Facebook, Twitter , via telephone at (262) 744-1380 and email at Enquiries@MayVoraJewelry.com. Check them out, don’t sleep on this jewelry line, its what you need in your fashion life!